Last week my son flew into New York after spending a summer abroad for college. While eager to see him back at home, my eyes rolled over at the thought of driving to JFK during the rush hour. As expected, I missed the exit ramp for international arrivals terminal and then circled around the airport. Passing terminal five and its massive construction underway, I caught a glimpse of an architectural icon. 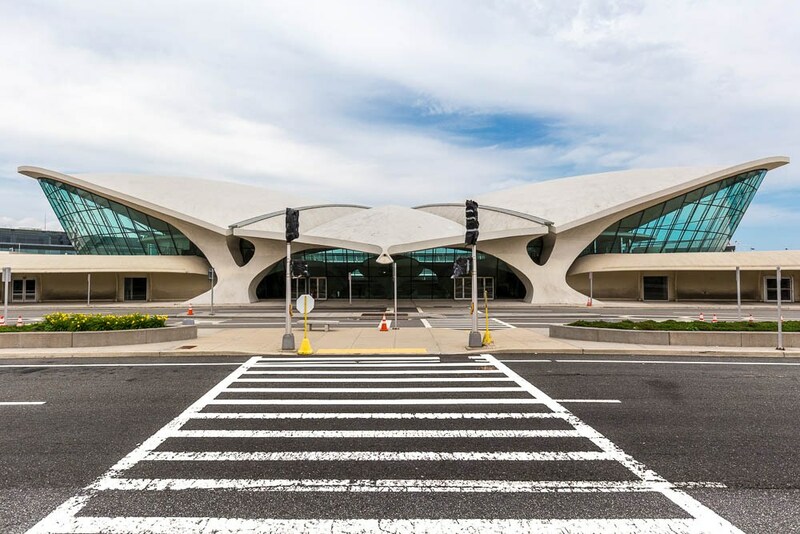 Nested in front of terminal five and surrounded by whirling cars and overhead planes, sits the majestic TWA Flight Center designed by Eero Saarinen in 1962. Fifty years later this building firmly holds its ground as a testimony to American innovation, celebrating flight through its plasticity of form and material. The wing- shaped structure mirrors the jets that flew overhead and filled travelers with anticipation. As you plan your vacation destinations, you may think about what travelling meant in another era. In the early part of the twentieth century, flying was a luxury only the wealthy could afford. After WWII, advancements in jet engine design and aviation safety controls increased the number of commercial airlines as prices for flights dropped. 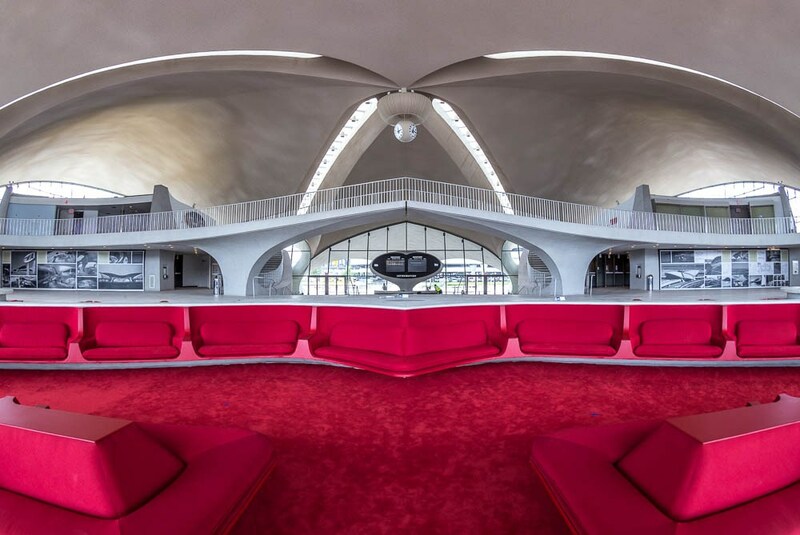 To the middle the class Americans flying in the 1960’s, the TWA Flight Center embodied the future in its design. 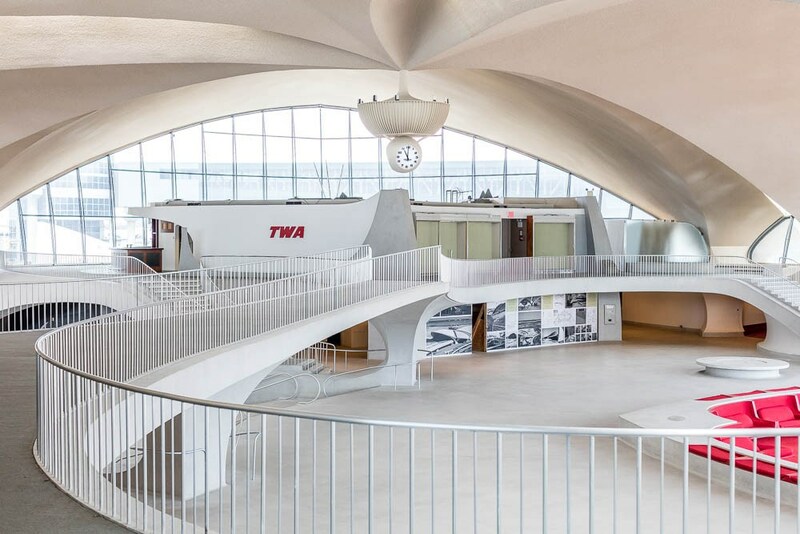 Architect Eero Saarinen designed the vast interior space and expansive windows so travelers could experience the adventurous tone before boarding an aircraft. This building holds great importance as it was Saarinen’s last completed project. The terminal took on an expansion in 1969 to accommodate larger aircrafts during that time period. The additional designed by Kevin Roche and John Dinkeloo and Associates was named Flight Wing Two. Fifty-six years later the terminal will transform into a 500 room hotel complex. Saarinen’s structure will be restored as the main feature connecting the hotel, restaurants and retail spaces together. A recent article in the New York Times remembers its history and future plans ahead. The MCR and Morse Development project is being designed by Beyer Blinder Belle and Lubrano Ciavarra Architects. Stonehill Taylor have created the interior vision that honors the 1960’s style and features retro red seating that will be preserved in the current renovations. This will be the first on-site hotel at JFK airport and include multiple restaurants, an observation deck, event and conference space. Named a New York City landmark in 1994, the terminal officially closed in 2001 due to modern aircraft size. 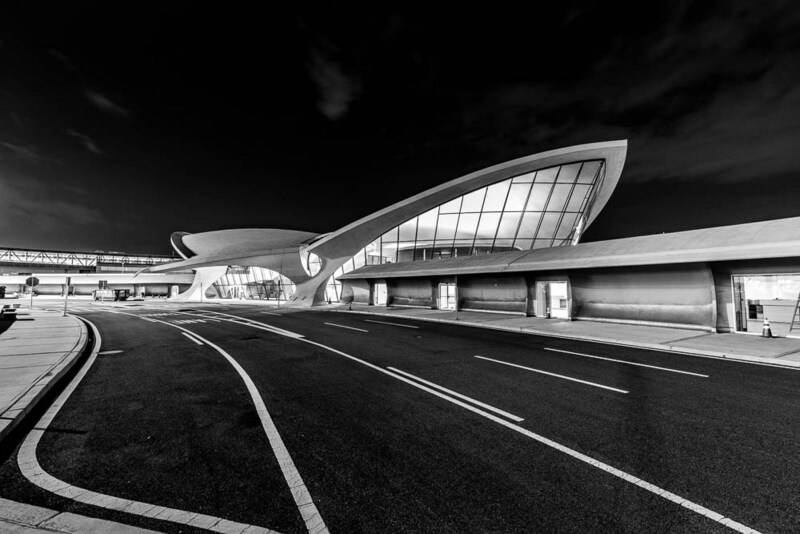 In 2005 the TWA terminal was officially listed to the National Register of Historic Places. We’re so delighted in the thoughtful re-purposing of this beautiful structure and excited to see it soar again. For more photos visit Max Touhey’s website.